Beeindrucken Sie mit einem Optoma LED-Display! Optoma ist ein Komplettanbieter von LED-Display-Lösungen mit Full HD 1080P, UHD 4K und kundenspezifischen LED-Displays mit individueller Auflösung. Die ultradünnen 16: 9-LED-Displays mit nativem Seitenverhältnis fügen sich diskret in jede Unternehmens-, Hochschul-, Hospitality- und Digital Signage-Umgebung ein. Sie sind einfach zu installieren, zu bedienen und zu warten und sind auf höchste Zuverlässigkeit und Bildqualität ausgelegt. Von 5×2.8m bis 10×5.6m Displays in einer Auflösung von Full-HD bis 4k-UHD. 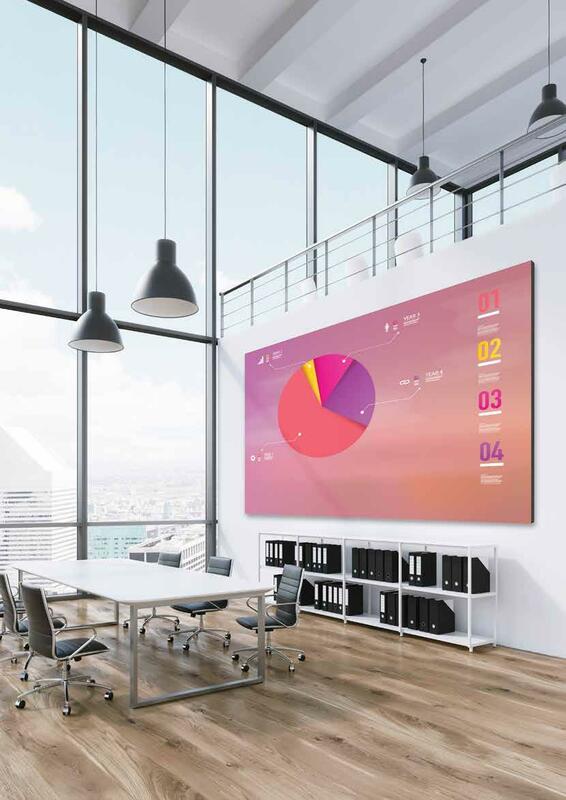 With an ultra-thin panel depth of only 56mm, Optoma LED displays are designed to take up less space, blending discreetly into any environment. The unobtrusive displays are perfect for contemporary corporate or education environments and space saving in retail or signage applications. Designed, supplied and supported as a single solution, Optoma LED displays include everything you need – from cables to preconfigured processors. This ensures a hassle-free set-up for a truly seamless installation. They can be mounted directly onto a suitable wall* without a mounting frame. A simple, lightweight frame option is also available. Front access gives fast, low-cost installation and easy maintenance. Specify the size and resolution to fit your application with our custom design service. Designed and built for outstanding reliability, Optoma’s LED displays combine superior image processing technologies with exceptional engineering and premium quality components to provide ultimate peace of mind.